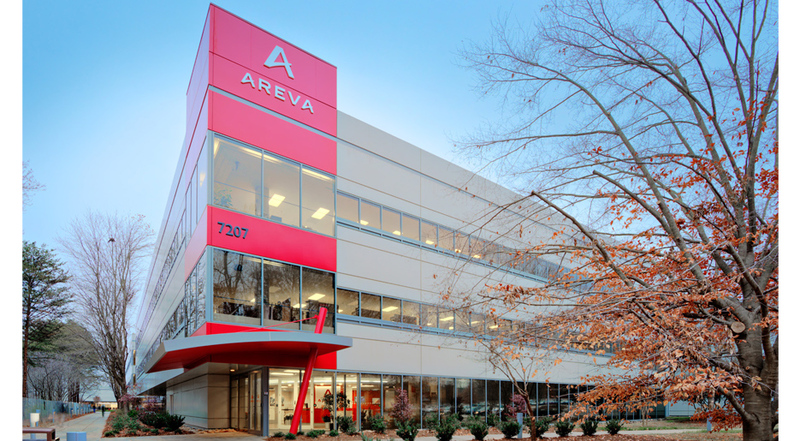 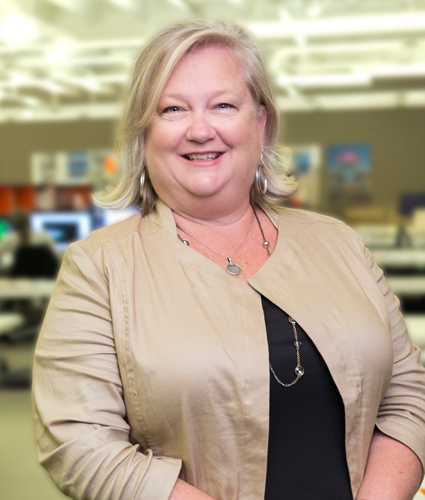 Global energy giant AREVA selected ai Design Group to design the renovation of their existing location at Innovation Park and brand it as their North American Headquarters. 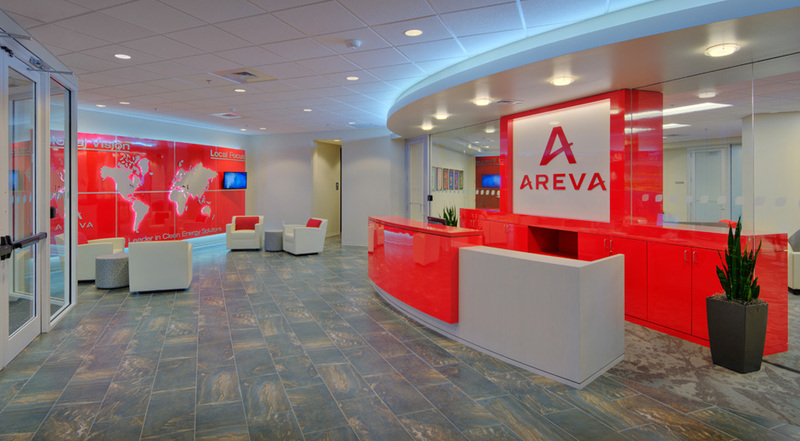 AREVA’s brand palette and message carry throughout the design from the building entry to the lobby’s high-gloss desk design and global “brand wall” to the executive corridors. 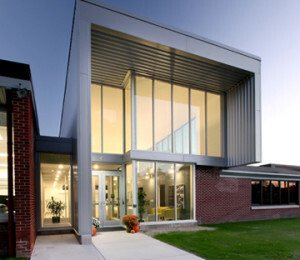 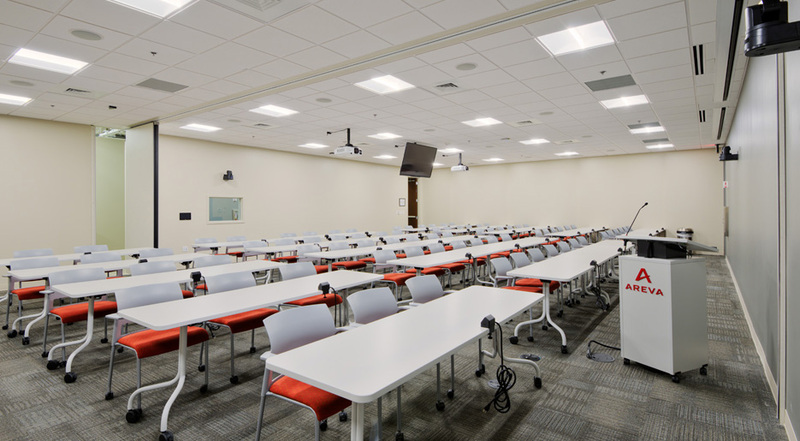 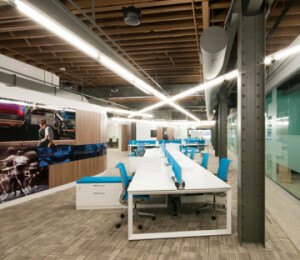 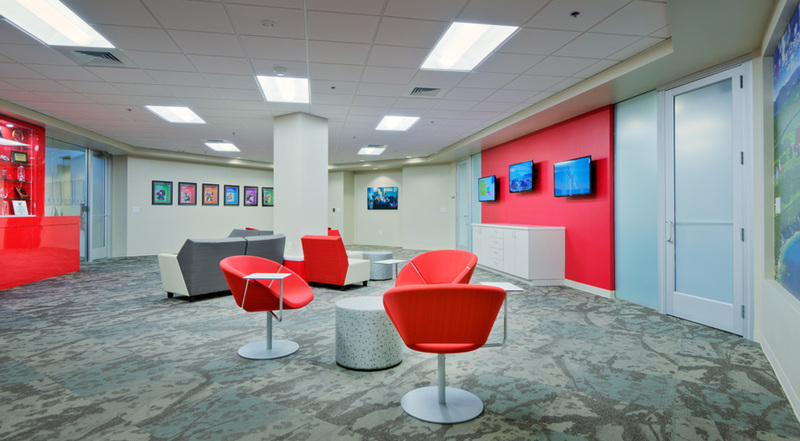 The renovation included expansion into an adjacent building to capture additional office space for workplace, meeting areas, and a training room.